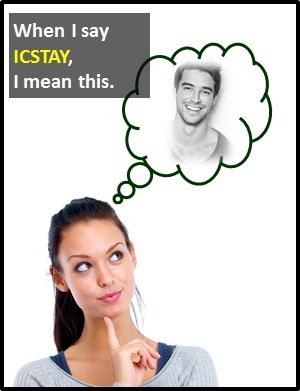 ICSTAY | What Does ICSTAY Mean? ICSTAY means "I Can't Stop Thinking about You". "I can't stop thinking about you."